Is Rob Refsnyder’s Time Now? If you’re going by the rumor mills, it would seem that Chase Headley has priced himself out of the Yankees range (assuming, and praying, that they’re not the idiots who have offered him 4 years and $65MM). The lack of any other attractive options at Third Base might actually push the Yankees to do something I think all knowledgable fans want to see. 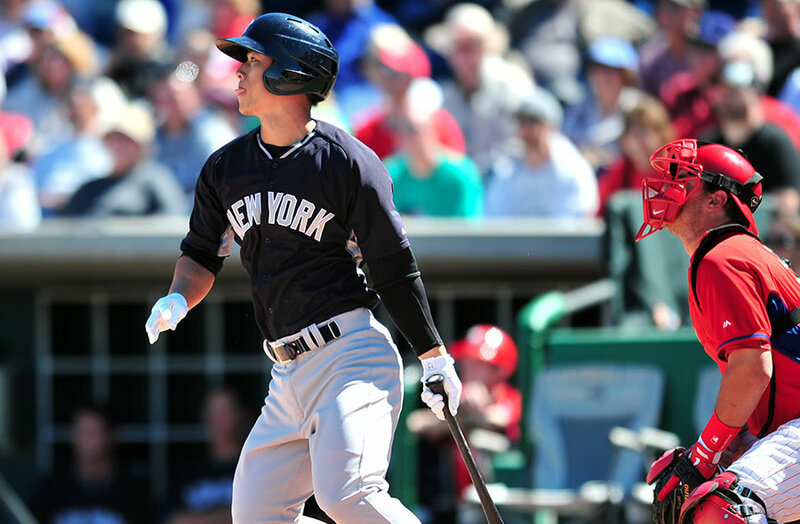 Is it time for them to give Rob Refsnyder a chance to take the Second Base job? I think so. Let’s talk about why. First of all, let’s talk about who Rob Refsnyder is for those of you casual fans who maybe aren’t sure yet. Refsnyder’s has arrived at the brink of the Yankees’ major league roster, but his journey started thousands of miles away, in Seoul, Korea. His parents, Jane and Clint Refsnyder, adopted Rob and brought him to the United States when he was just three months old. Refsnyder was a two-sport star in High School, and even received some Pac-12 scholarships as a Quarterback. He chose to play baseball at Arizona State, and eventually helped them win the College World Series in 2012, even winning the CWS Most Outstanding Player Award. The Yankees then took Refsnyder in the fifth round (187th overall) of that year’s amateur draft. Refsnyder rose quickly through the Yankees’ minor league system, spending 2012 in A-ball for Charleston, then splitting 2013 between Charleston and A+ ball in Tampa. 2014 was his real breakout season, as he split time between AA Trenton and AAA Scranton/Wilkes-Barre. At Trenton, he hit a blistering .342/.385/.548 in 60 games, with 6 homers and 30 RBI in 60 games. When he was called up to AAA Scranton, he kept hitting, putting up a .300/.389/.456 slash line with 8 more homers and 33 RBI in 77 games. To the chagrin of many Yankees fans, he was not given a September callup with the big club. The honors went to another young Yankees infielder, Jose Pirela. Obviously, as a blogger, I am not “in the know” as far as how prospects are developing. I only know what I’ve been reading about the kid, and it seems to me that some very knowledgable people think he’s ready for a shot at the big time. If letting Refsnyder take a chance at Second Base means not committing $65M to Headley, or watching another year of a Brian Roberts type playing the position and decaying at the plate, then I’m all in for it. Hopefully he or Pirela can step up in 2015. I have a feeling we’ll be seeing a lot of both of them.